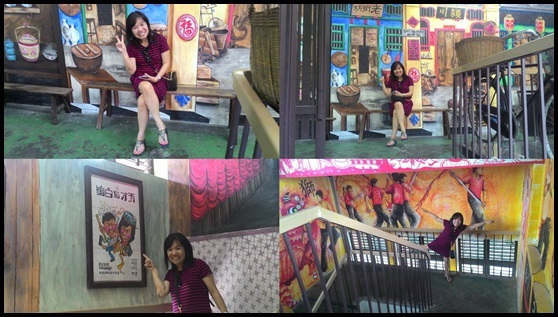 The 3-D art right at the entrance..
Those born during my time are familiar with these movies... LOL.. Indeed another attraction for those who are visiting IPOH! Very nostalgic. I remember Saturday Night Fever! Fruitful outing with you! Expecting more attractions to be added. vacant lots to be rented out for ? retail spaces? just read this on Nancy's blog too. You girls sure know how to have fun! very good!